Cirque du Soleil Iris at the Kodak Theater is beyond amazing. I hadn't seen a Cirque du Soleil show yet (always wanted to, just haven't had the chance yet) and this one far exceeded all expectations I had. I knew that the show would be a spectacle full of breath taking acrobatics, but there just aren't words to explain how truly awe inspiring this it was. 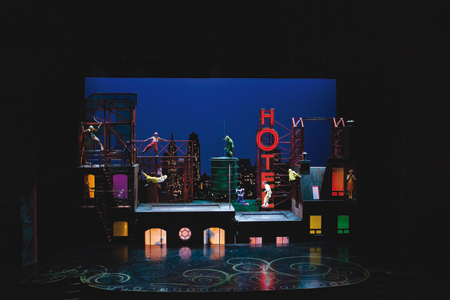 Iris was designed just for the Kodak Theater in Hollywood and will never go on tour, so the experience is unique and has multiple nods to it's Hollywood home. 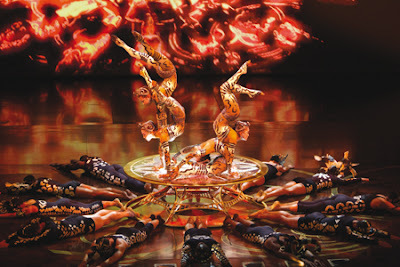 Tickets range in price from $43 up and I can assure you that for this Cirque du Soleil the higher up seats are just as good as ones low down because the show makes full use of the height of the theater. This is definitely one to take the kids to for exposure to the performing arts mixed in with a bit of Hollywood dazzle. There are more special effects than I can even begin to explain, but I was floored to hear that some eight video projectors for the main screen, six for the rear projections and four above the stage for special effects. This begins to explain how some of the tricks of the eye were created, but leave you dizzy thinking about how many working pieces there are to this masterpiece. One of the best tips I have heard about the Cirque du Soleil show is to not try to follow the story line too much - just go with it and enjoy the beauty of what the show is. Below is one of my favorite scenes from the show from the contortionists. 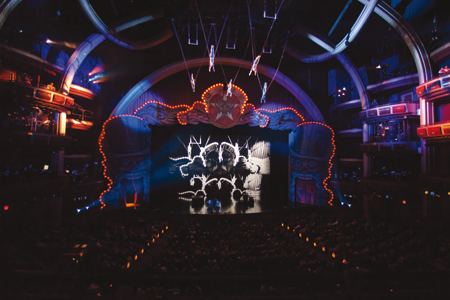 Cirque du Soleil Iris is making a permanent home at the Kodak Theater in Hollywood (year round except for Oscar time of course). So make your plans and be sure to see it (purchase tickets here or call 1-877-943-IRIS). Want to feel like a real celebrity? Pay for the valet parking at Kodak Theater(less than $20) and your sure to feel like you too just picked up a golden statue. *Note: No compensation was received for this post - but I was invited to attend the show to facilitate a review.